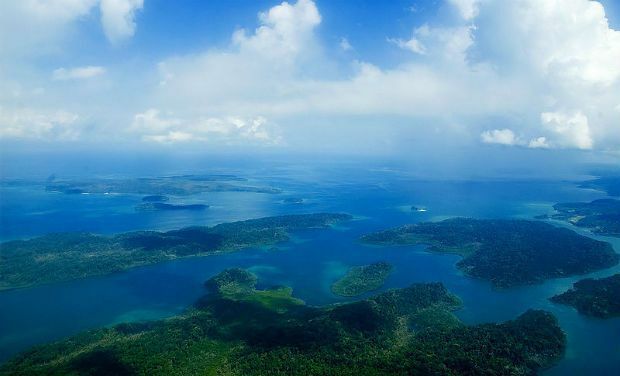 The Great Nicobar Biosphere island reserve, whose tropical wet evergreen forest hosts a wealth of animal species and medicinal plants, joins a global list of places named by UNESCO for promoting sustainable development based on local community efforts and science. The International Coordinating Council of Man and the Biosphere Programme (MAB-ICC) under the United Nations Organisation for Education, Science and Culture designated the 103,870 hectares Great Nicobar reserve as protected, in its meeting in Paris, this week, according to a statement released by the body. With this addition, India now boasts of 9 sites that have been recognised by the United Nations organisation. The other eight are: Nilgiri (2000), Gulf of Mannar (2001), Sunderbans (2001), Nanda Devi (2004), Nokrek (2009) Pachmarhi (2009), Similipal (2009) and Achanakmar-Amarkantak (2012). International Coordinating Council of UNESCO’s Man and the Biosphere Programme (MAB), which met in Paris from 27 to 30 May, has added 12 sites worldwide to the World Network of Biosphere Reserves. The additions bring the total number of biosphere reserves to 621 in 117 countries. Biosphere Reserves are sites chosen by the MAB Programme to experiment with different approaches to the management of terrestrial, marine and coastal resources as well as fresh water. They also serve as in situ laboratories for sustainable development. 1. Alakol (Kazakhstan): The Alakol reserve covers 193,089 hectares, including wetlands of world significance. It is an important Indian bird migration route, a water bird habitat and aggregation site. The bird population includes the rare Dalmatian Pelican (Pelicanus crispus) and Eurasian Spoonbill (Platalea leucorodia), both of which are endangered. The Reserve is home to 678 species of plants, six of which are endemic. The local economy is based mainly on agriculture and cattle breeding. 2. Gochang (Republic of Korea): Covering 670 square kilometres, Gochang is located in the south-west region of the country and is composed of forest, coastal and freshwater ecosystems. The tidal flats are major stopover sites for migratory birds, especially longbill and plover. Economic activities on the site include eco-tourism, organic farming and salt production. 3. Great Nicobar (India): This island biosphere reserve, covering 103,870 hectares, is characterized by tropical wet evergreen forest. It is home to 1,800 animal species, including 200 species of meiofauna in the coastal zone. The island is also home to the indigenous Shompen people, semi-nomadic hunters living inland, and the Nicobarese, who are coastal dwellers dependent on fishing and horticulture. The 6,381 inhabitants derive a wide variety of biological resources from their environment such as medicinal plants and other non-timber forest products. 4. Snake Island, Laotie Mountain, (China): Situated in the east of Dalian Lushunkou District, the site covers 9,808 hectares. It includes mountains and Snake Island, which is home to the Gloydius shedaoensis, an endemic species of the Viperidae family, inscribed on the Chinese list of endangered species since 2004. The venom of this snake has medicinal properties. The site also provides shelter to 307 bird species and ten million birds use it as stopover during migration. 5. Ziarat Juniper Forest (Pakistan): Pakistan’s largest Juniper forest is located in this reserve. The juniper forest ecosystem is of inestimable value for biodiversity conservation. It is also of great ecological significance, providing local, regional and global benefits.